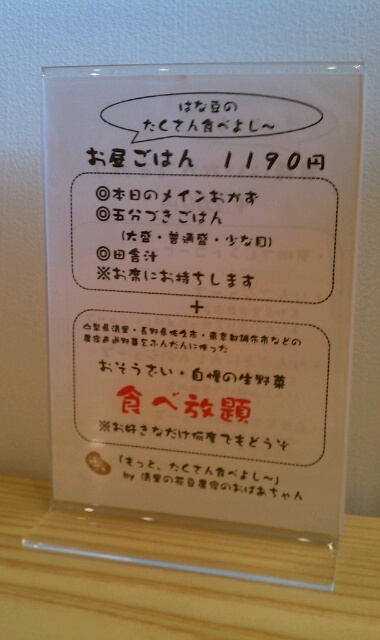 I had lunch at はな豆, Nakameguro by myself. They served us fresh various vegetable food. We can eat these vegetable dishes as much as we like. 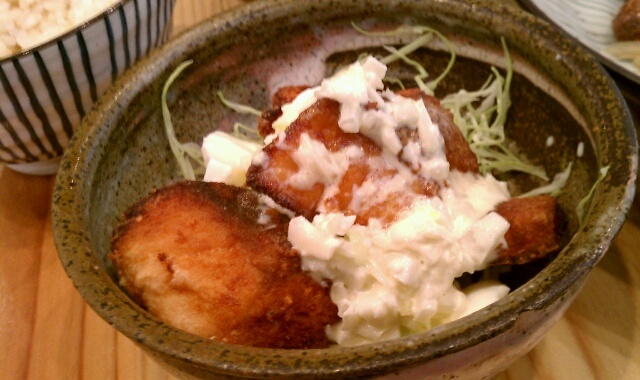 This was the main menu today, 秋鮭の揚げ物 with タルタルソース. 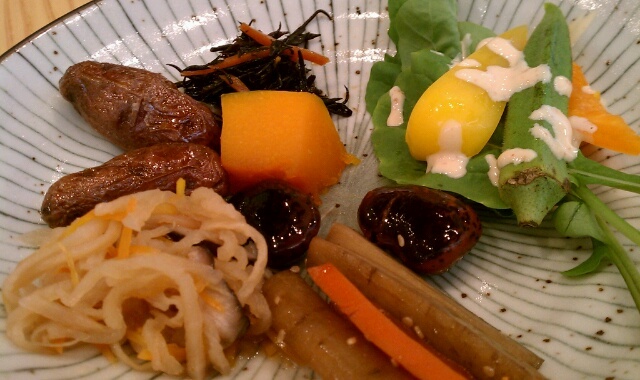 I was very happy to have delicious lunch(^^).